Rims: WTB KOM Light i21 TCS, 28h, tubeless ready. Hubs: Formula CL-712 front, RXC-142S rear. Crank; Cannondale HollowGram Si, BB30a w/ OPI SpideRing, 50/34. Cassette: Shimano Ultegra, 11-34, 11-speed. Handlebar: Cannondale C1, 7050 Alloy, Compact. Brakes: Shimano Ultegra hydro disc, 160/140mm RT81 rotors. Saddle: Fabric Scoop Radius Elite, cro-mo rails. 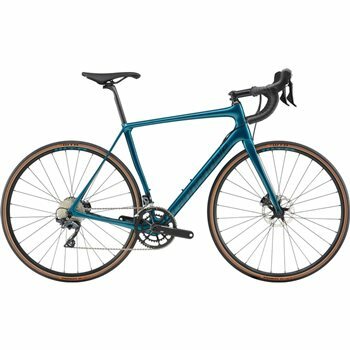 Seatpost: Cannondale SAVE Carbon, 25.4 x 350mm (44-56), 400mm (58-61).